Paul Herrera - Website of Anima Concordia! 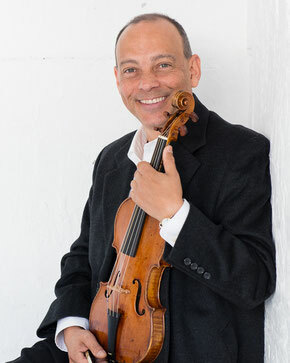 A native of Caracas, Venezuela, was a member of the first generation of the Simon Bolivar Symphony Orchestra for over a decade, institution also known as "El sistema". He assisted in master-classes given by distinguished violinists such as Ruggiero Ricci, Henrik Szering, Agustin Dumay and Margaret Pardee from the Julliard School in New York. He has performed extensively throughout Europe, Asia, Latin America and the USA with La Petite Bande, the European Union Baroque Orchestra, Ricercare Consort, The Monteverdi Choir, Camerata de Caracas,Michaelstein Telemann Chamber Orchestra and the Kuijken brothers. Paul Herrera is now living in Japan where he joined Bach Collegium Japan, with whom he is currently recording the complete series of cantatas of Johann Sebastian Bach. In 2002 he founded the ensemble Anima Concordia with Kaori Toda. The ensemble has performed throughout Japan and Europe. Their recording of the books of sonatas for two violins Op.3 and Op.12 from Jean-Marie Leclair has been well received by music critics and audiences alike. The duo Herrera-Toda keep an agenda of festival performances, seminars, solo recitals and CD recordings.